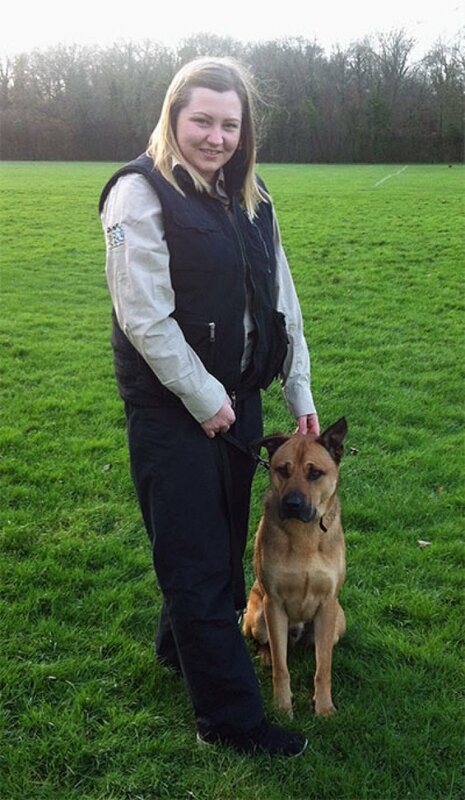 My name is Shauna of Bark Busters Home Dog Training East Grinstead area. I am your local behaviour therapist and trainer. My early life was surrounded by various Jack Russell Terriers, jumping, friendly, maybe a little bit noisy, but fun for a child's games. I’ve always enjoyed and loved being around animals and in my teens, I was thrilled to be able to buy and look after my own horse. I decided to pursue a career with horses and went to college to gain my qualifications in animal behaviour. Once I had my certification, to pay off my college fees I worked in an insurance company, but I could see my future unfolding. Around this time my lovely friendly dog Oscar, a mix of Shar Pei, German Shepherd and Rottweiler, a big cuddly lump of a boy, was attacked when we were out walking. This turned our lives upside down. My once friendly, confident boy had turned into a nervous wreck out side our home. He became very defensive of himself and me, assuming every dog was out to get us. He would pull, lunge and bark at dogs, almost pulling me over at times. He barked at the front door and growled at anybody who tried to touch him or come near him. As a result, walking became a horrible experience and something that I dreaded. I tried taking him to classes, but he was aggressive to all the dogs, and we found ourselves away from the rest of the class which didn’t help at all. One day, when the postman knocked at the door, Oscar crashed through my glass porch door to get to him. I knew my knowledge and anxieties were not helping him and realised I needed real professional help; and soon! I found Bark Busters East Grinstead online and set up an appointment for us to start work with Oscar. The trainer was amazing and really understanding and together we started to work on basic communication, helping Oscar to learn to trust my decisions. It was explained to me that his aggressive behaviour was based on fear and anxiety, but with simple and straight forward communication techniques, the training and new games were enjoyable for both of us. A tailor-made programme was put in place for my daily use and it worked wonders. Within a few lessons, Oscar was able to wait calmly while I opened the door to visitors, which had never been achievable before. He was able to walk around the streets in my local area ignoring other dogs with my encouragement to keep his focus on me, using the calm communication techniques demonstrated and taught to me. As a result of this amazing success, I knew that I would like to help others with their dogs’ issues, to show them how to bring fun back into owning a dog and to make the experience joyful again. When an opportunity arose, I applied to Bark Busters to become a dog behaviour therapist myself, in the East Grinstead and surrounding areas. I have never regretted my career, working with dogs, I still have my horse and I love helping dog owners to achieve the results like I had with Oscar. The Bark Buster training is based on the way that dogs naturally communicate with each other. This way, I teach you how to communicate effectively with your dog in a way they will instinctively understand. Once you know the “why” behind the behaviour we can soon get to work on “how” to fix the problem. If your dog is old, new or even a young puppy, big, small or in between, pure or cross breed; I can help you. No dog is beyond help. Pulling on the lead, jumping up, boisterous behaviour, separation anxiety, aggression to dogs or people, sibling rivalry, obsessive compulsive disorder and any other issue, I can help to rebuild your relationship with your dog, so you enjoy sharing your life with each other to the full. Maybe you’re looking to give your puppy the best start in life. I love working and seeing puppies develop over the months and get some cuddles in too! I tailor the training programme to yours, and your dog’s, needs. Practicing the training for just 15 – 20 minutes per day, will see great improvements and achieve the behaviour you want. Our Support Guarantee will provide you with peace of mind, knowing that I am only a phone call or email away. You pay only once, and I will return to support you, free of charge, if you're struggling or for any recurrence or new behaviour issue, for the term you have purchase. 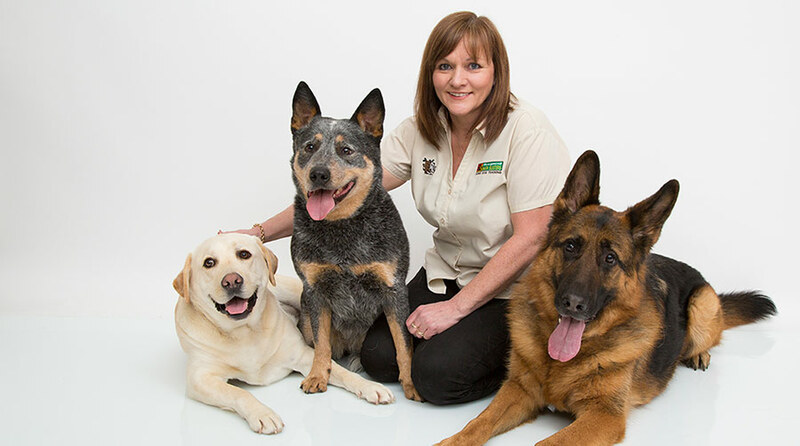 Contact me to see how I can help with your dog’s training or behaviour problems and together we can rebuild your relationship with your dog to be a rewarding one. We were very impressed with Shauna and look forward to working with her. She has a very easygoing manner and didn’t make us feel inadequate at all unlike some trainers.